Dr. Moskowitz, who is the director of the Center for Family and Community Health at UC Berkeley’s School of Public Health, knew of the CDPH guidelines since 2013, however they had never been published. He found out that the CDPH had been working on safe cell phone guidelines since 2009. After many requests to the CDPH for release of these recommendations he filed a lawsuit in 2016 against the CDPH through the Freedom of Information Act. After the successful lawsuit, a Sacramento judge ordered that the CDPH release the documents and a 2 page draft copy, not to be released to the public was sent to Dr. Moskowitz in March 2017. In a March 2017 SF Gate article about the CDPH draft release, it was noted that Superior Court Judge Shelleyanne Chang stated the CDPH does have an obligation to inform the public about public health issues gathered by it’s own scientists. Dr. Moskowitz has been involved in educating others about the science indicating harm from wireless radiation for almost a decade. He, along with over 230 other international EMF peer reviewed scientists, have signed a petition, calling for the UN to issue new standards for non-ionizing electromagnetic that are protective of human and environmental health. Professor Moskowitz was also instrumental in passing Berkeley’s Cell Phone Right to Know ordinance, the first in the Nation to require cell phone sellers to post a brief warning in their stores about the hazards of cell phone radiation. This is similar to the warning cell phone manufacturers include in the fine print of their phone manuals and that few people ever read. Despite appeals and lawsuits by the telecommunications industry the Berkeley ordinance so far has prevailed, however, it may be challenged in the Supreme Court. 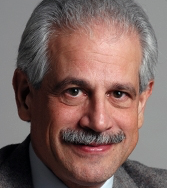 Dr. Moskowitz has his own website https://www.saferemr.com with up to date information for the public, scientists and officials.